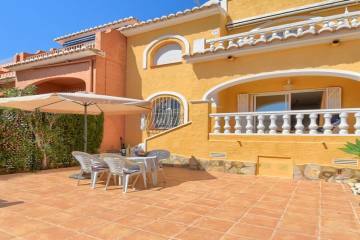 New Project of an exclusive linked house in Moraira only a 2-minute drive from stunning beaches. Three different Villas built to the highest quality standards located in a valley within 2 Km from Moraira town centre. Built on 3 levels and consisting of 3 double bedroom and 4 bathrooms. Garage and private pool will also be included. This project is created to provide pure comfort and relaxation.